Meals not the best.breakfst was cold. Not too far to walk to perth town centre. Friendy staff, good food and convenient location. Room was clean and warm. Lovely hotel, great location. Lots of nice touches in the room. Great breakfast Great host. 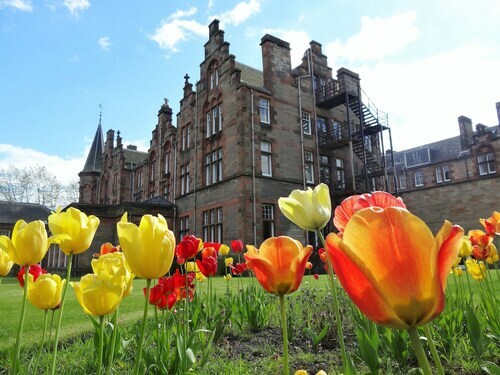 We arrived Friday went to reception.a vey pleasant young lady dealt with us very efficiently.we were directed to a lovely cottage called Gleneagles. We unpacked changed for dinner the food throughout the weekend was lovely and very tasty . We would go again. Location easy to find. So, you're thinking about a holiday to Perth? If you want to find accommodation that's within a stone's throw of the sights, you can enter your holiday dates and then use the filters beside your hotel search results to find a hotel near the area's attractions. You can choose among 69 Perth hotels and accommodation options to find a place you'd like to stay. When you're deciding where you want to stay in Perth, you'll be able to quickly and easily search ebookers for hotels offering services such as high-speed Internet, a swimming pool or free airport transport. You can use the filters to narrow down your search for accommodation, so you can get the services that are important to you, such as an in-room kitchen or air conditioning. When arranging your Perth getaway, you can also use ebookers to find a convenient flight into Dundee (DND) Airport. You can narrow down your search by number of stops, airline or time of departure to find the one that'll meet your needs. When is the Best Time to Explore Perth? If you're wondering when is the best time of year to travel to Perth, you may find this information about seasonal weather helpful when you are organising your getaway. The warmest months in Perth are typically July and August, whereas the coldest months are usually February and March. The months with the most rain are August and October, whereas March and October have the least. The average annual rainfall in Perth is 24 mm. One of the best Guest Houses Ive been at, the owner makes you feel like at home. British Breakfast style is included and the chef is amazing. Lovely welcome at reception, nice room, great breakfast. This was a lovely short break with the family - including the 4 legged one! We stayed in a 2 bedroom cottage on the estate. It was spacious, warm, clean, modern with quality beds, towels and toiletries. Good WIFI. The pub/ restaurant itself was lovely and cosy. Dog friendly without being “doggy”. Delicious breakfast and evening meals. Excellent service and staff. Friendly helpful owner. Couldn’t ask for more. Strong smell of disinfectant in hallway leading to room… had someone been sick there? Rooms in urgent need of refurbishment & tlc… dirty carpets, peeling wallpaper, tired paintwork, curtains hanging off rail. Made to feel at home by the wonderful Caroline. First class service similar to a 5 star hotel. We will be back. Positives - great central location. Good customer service. Nice environment in bar and excellent breakfast. negatives - terrible night's sleep as unfortunately Woken by guests in neighbouring room who were only talking but walls must be very thin, then Unknown noise from outside on roof as needed window open with heat. Would visit bar again but probably would not stay. Upgraded rooms may be better. 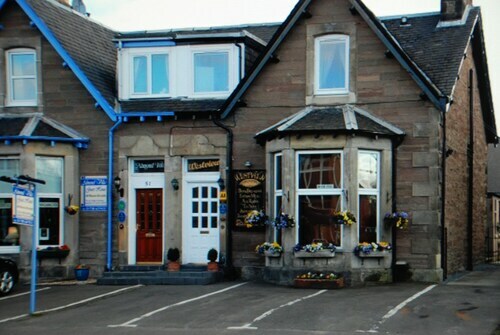 We have visited Ballathie many times over the last thirty years. 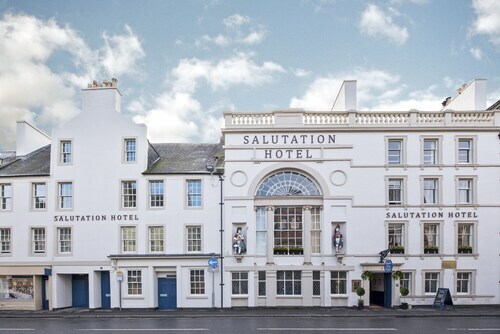 It’s greatest asset remains the fantastic setting on the banks of the river Tay. However the Riverside bedrooms are now rather dated and tired; the bathrooms in particular are in great need of refurbishment. Staff are great. Food is good but not outstanding; the menu changed very little over the two nights we stayed. 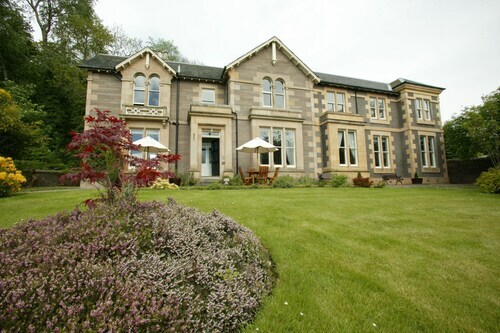 So all in all a lovely place to stay but needing some investment to ensure guests are receiving value for money.